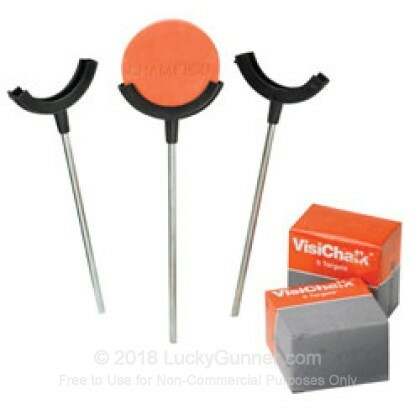 If you're looking to add some fun and interest to your next range day, try Champion's VisiChalk™ line of reactive targets! Now pistol and rifle shooters can experience the same excitement of pounding clays into dust that the shotgun community has enjoyed for years! Simply stake your VisiChalk™ holders into the ground, top with the included target chalks and Open Fire!